As our mighty fleet of waka hourua prepare to set sail towards Te-Whanganui-A-Tara for the epic A Waka Odyssey, come on board a virtual, digital waka and explore the months of planning, days at sea and the thousands of years of science, arts and history and the bravery and ingenuity it took to get to this place. Over the coming 23 days join us on a virtual, digital waka as we share exclusive cast and crew interviews, insights on Pacific voyaging and creative responses in the lead up to A Waka Odyssey, the 2018 New Zealand Festival's epic celebration of our voyaging past, our place in the Pacific today and a way to a better future – starting Friday 23 February to Sunday 4 March. New videos and stories will be uploaded to the Festival's website festival.co.nz/waka, Facebook and Instagram pages (using the hashtag #NZWaka) each day, timed to coincide with the physical journey of a majestic fleet of waka hourua (traditional double-hulled sailing canoes) from Auckland to Whanganui-A-Tara, Wellington Harbour for the Festival's opening night extravaganza Kupe at 7pm on Friday, 23 February. You’ll enjoy behind-the-scenes A Waka Odyssey updates, watch Warren Maxwell as he creates Kupe's musical score, hear from the event's creators Anna Marbrook, Kasia Pol and Hoturoa Barclay-Kerr, see what it takes to put together a unique 1000-strong haka, and much more. This is a journey all New Zealanders can be part of. Join us as we explore the months of planning, days at sea and the thousands of years of science, arts, history and bravery it took to get to this place. Because, whatever way we travelled here, we all belong. Haere mai – Come on Board. Each day, starting 1 February 2018, we will share new videos and stories online so you too can join the journey in the lead up to the start of A Waka Odyssey, 23 Feb – 4 March 2018. Be part of the story via our website festival.co.nz/waka, on the New Zealand Festival's Facebook and Instagram pages, or using the hashtag #NZWaka. Join in A Waka Odyssey celebrations at the spectacular theatrical extravaganza Kupe: Festival opening night set on Wellington's waterfront; the Kupe Landing: Petone Family Day – a fun beach party for all the whānau; and the Kupe Dreaming series of waka-themed community events and activities. 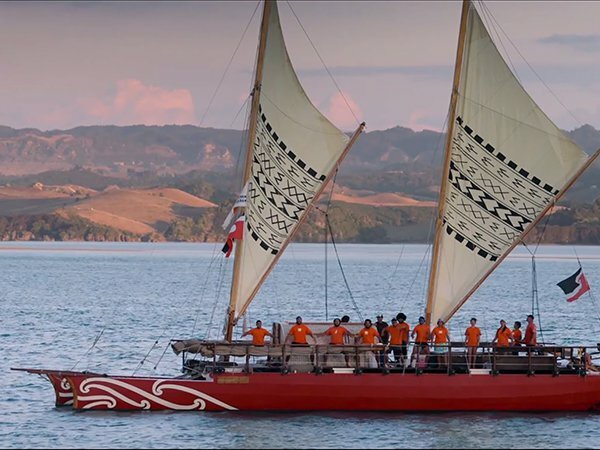 Inspired by the teams of people who will come together from around Aotearoa and the Pacific to create the theatrical spectacle in Wellington Harbour, we invited the public to come on board a digital waka. 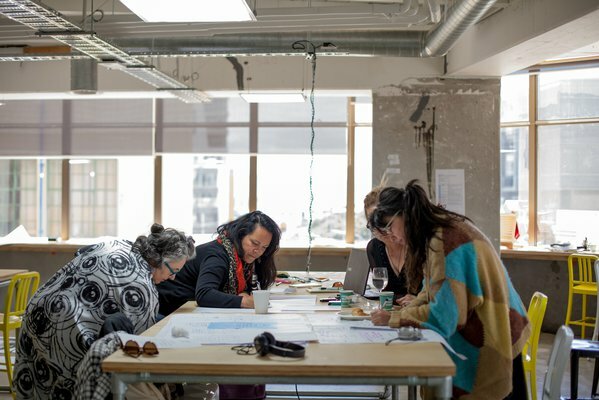 Meet A Waka Odyssey's three co-creators, Hoturoa Barclay-Kerr, Anna Marbrook and Kasia Pol.